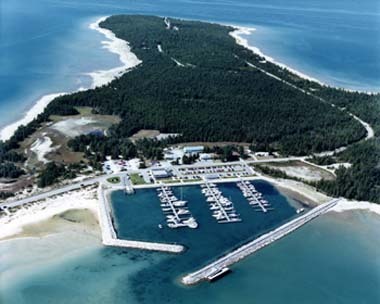 Presque Isle offers the only natural harbor on Lake Huron with a new marina offering water, restrooms, showers, deisel, electricity, pump-out, gasoline, launch, fishing pier, dog run, grills, and the Portage Restaurant. The Old Presque Isle Lighthouse is a short walk up the path. 5462 East Grand Lake Hwy.